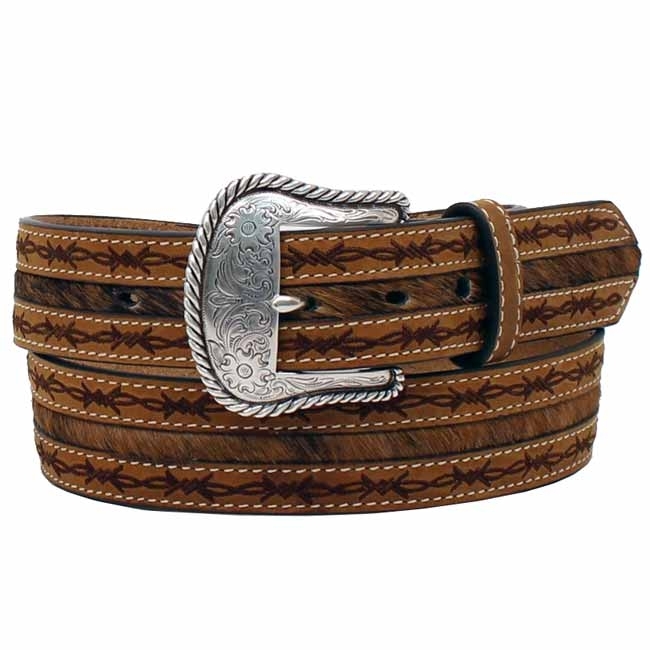 Men's Western Leather Belt from Nocona Inc. This is one cool Nocona Western leather belt! Stitched in dark brown thread is barbwire and it has cowhair in the middle. The buckle is a traditional silver western buckle but it easily snaps off if you would like to wear a different one. It is 1 1/2" wide which is perfect for any pair of jeans or pants. 1 1/2" wide belt with cowhair center.